It all starts with understating the current real estate market. We understand the current comps, market + land values and adjustments that need to be made to price your home to get sold. At the same time, it’s our responsibility to give your property maximum exposure and sell for highest possible price. At Realty Empire, we offer exclusively to our South Florida home sellers a strategic marketing plan. Our strategy for getting your property sold for top market value and in the least amount of time is simple and extremely effective. Our Team of Realtors will maximize your home’s exposure, attract qualified buyers, and deliver RESULTS. Here is a glimpse of how Realty Empire will showcase your home and what sets us apart from other real estate companies in Miami area. We listen to all your needs and align our strategy to accomplish your goals. Comprehensive and competent analysis of your property based on current market values, analytics, and trends. Mobile Buyer Marketing – for those buyers who are driving through the neighborhood to access property details on the spot. Powerful marketing partnerships focused on local, regional, national, and international exposure. We make your home stand out with a video, virtual tour Plus an individual property website. 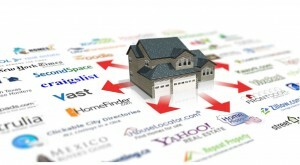 Comprehensive Online Exposure- Distribution on more than 500+ significant real estate Web Sites Around The World. Promote your home in a unique way including 19 languages and 55 currencies. Social Media Connection- This is necessary in today’s real estate market and one of the strongest marketing tools enabling us to fast track your home to SOLD. Measuring Results – Your Personalized Marketing Summary Updates. We will keep you informed of the Marketing Process. When you are ready to sell, our Team will be your advocate, your guide, and your fierce negotiator and with a unique marketing plan specific to your property your house will go from listed to SOLD.